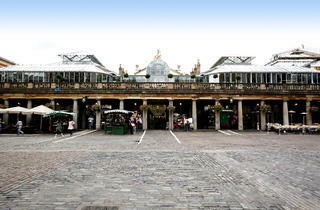 The range of Covent Garden shops is vast. 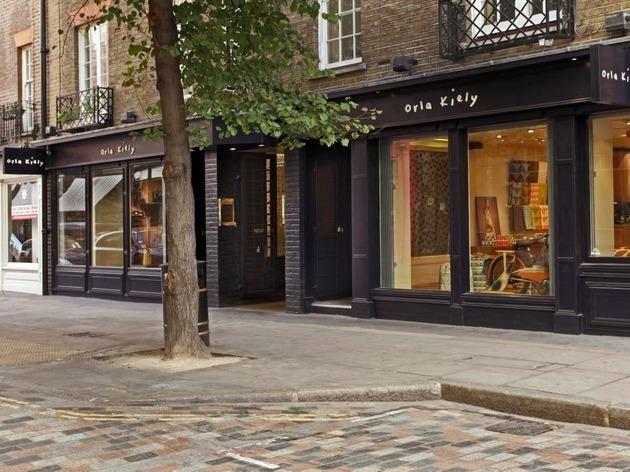 This central retail area is brimming with boutiques and vintage stores, from home and fashion favourites such as Orla Kiely, Cambridge Satchel and Fred Perry, to a smattering of beauty and skincare stores. 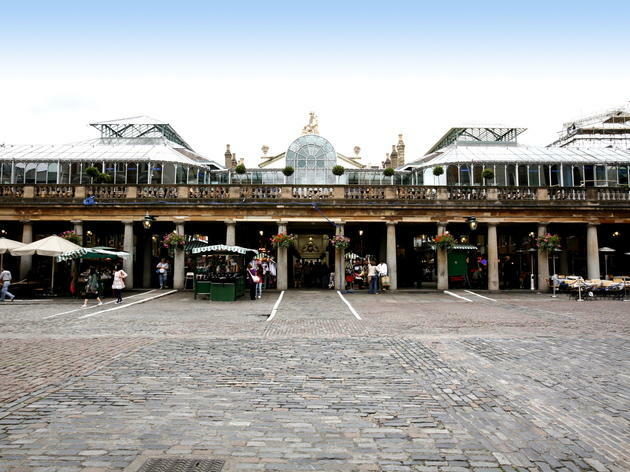 Covent Garden is a real shopping destination for the fashion forward, and with amazing new shops popping up all the time, there's more reason than ever to stop into a few Covent Garden shops. 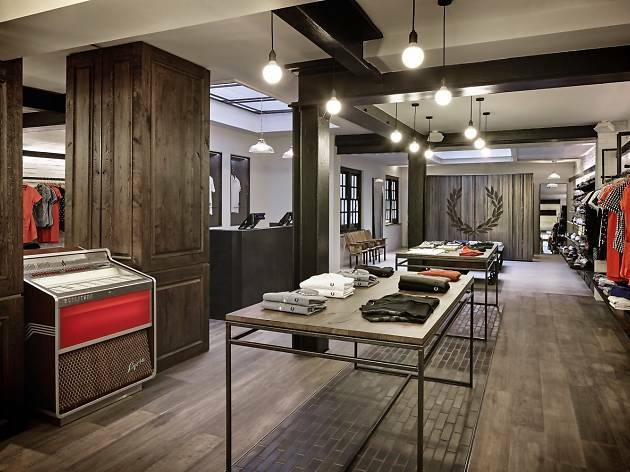 Japanese brand Edwin’s Covent Garden shop is a temple to denim. 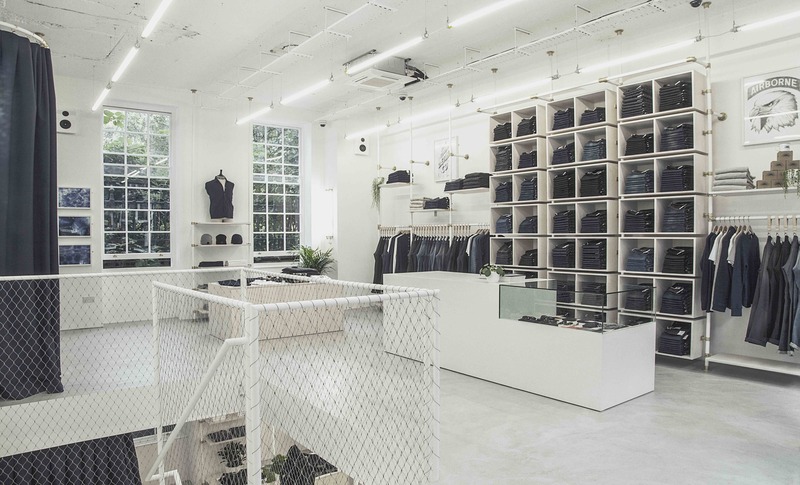 Its minimalist, clean-lined interior (these guys have nailed utilitarian shelving) ensures that the jeans are the full focus here – and the range and quality on offer is hugely impressive. The brand has a cult following for its selvedge denim, but you can pick up exclusive denims of all kinds here, all with the trademark Edwin brand of cool. 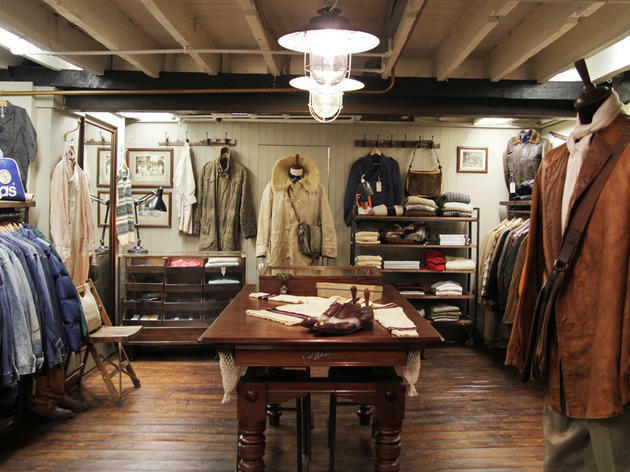 This store stocks both mens and womenswear, plus accessories from the likes of Porter Bags. 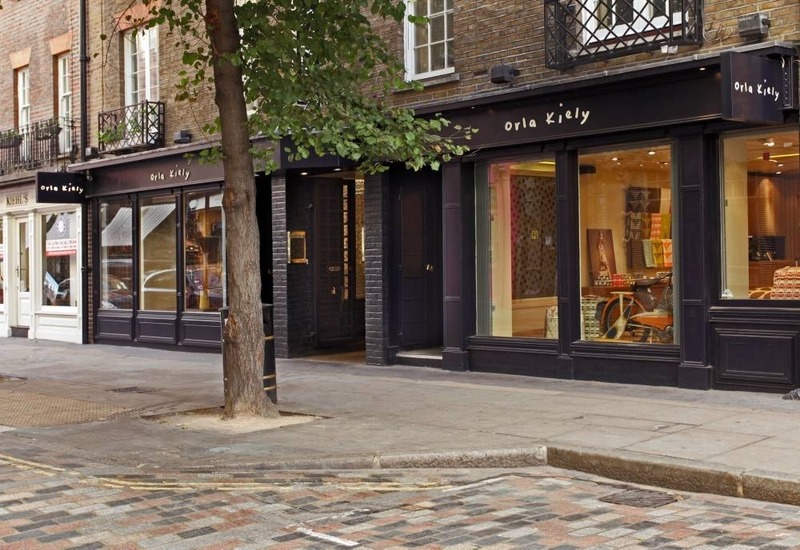 Yes, the twee printed ’60s- and ’70s-inspired homewares still abound, but London-based brand Orla Kiely has really stepped up its womenswear offering of late. Head to the basement of this attractive flagship store for its best bits: kitschy tulle gowns, patent mini-bags, ruffle-collar blouses and the brand’s whimsical spin-off label L’Orla, created in collaboration with stylist and fashion editor Leith Clark. Prices for homewares start from £4, clothing from £70. 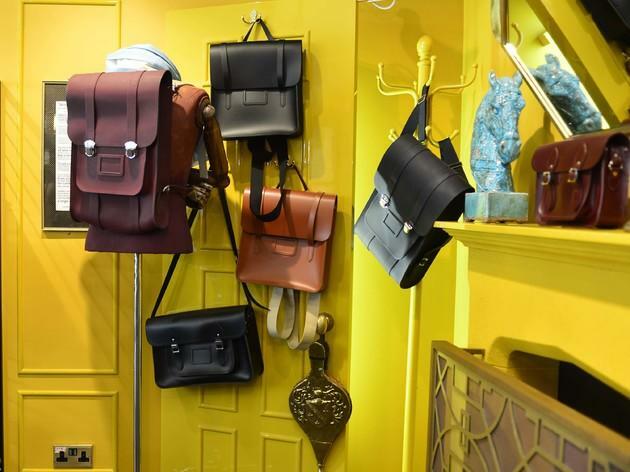 Cambridge Satchel Company’s wares for women are pretty ubiquitous these days – we’re far more excited by its men’s focused offering, available here at this standalone store. 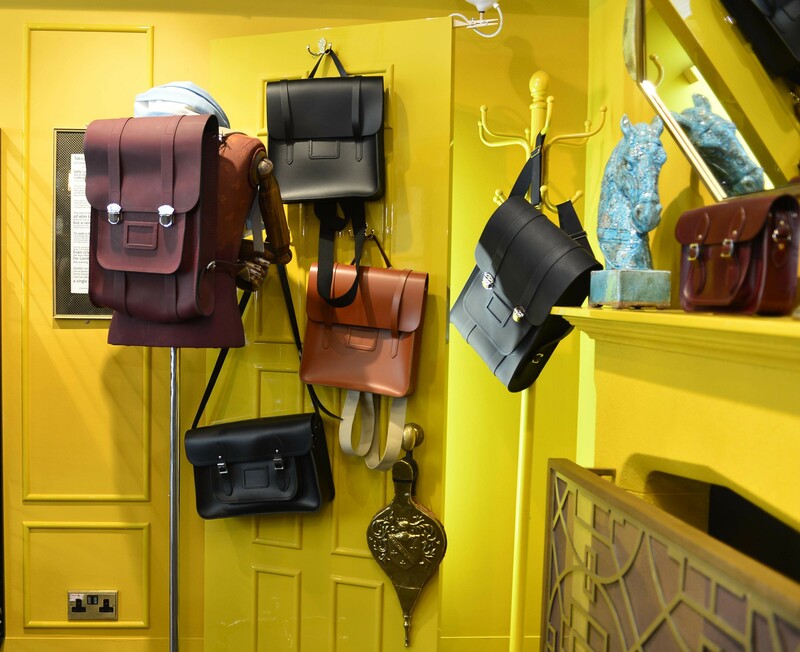 We’d say gender is pretty irrelevant here, though – the goods on offer in this place will appeal to any fans of smart, minimalist leather accessories, from satchels (naturally) to slick folios, briefcases and shoulder bags, all in high quality leather in a selection of rich tones. This store also offers embossing while you wait. 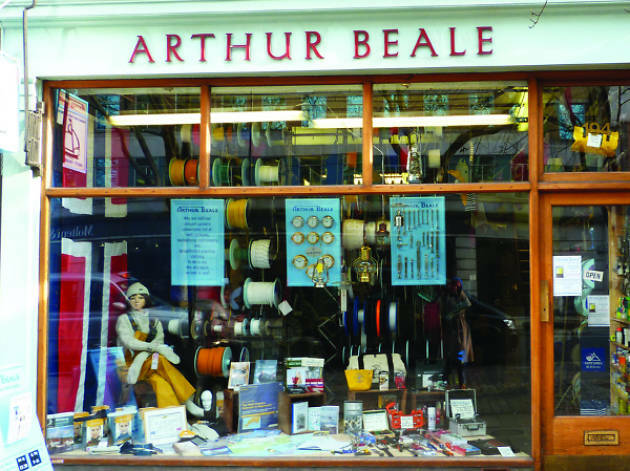 This Covent Garden stalwart has been at this spot on Shaftesbury Avenue for over 120 years, but the company’s history as a supplier to London’s yachting industry stretches back over 400. 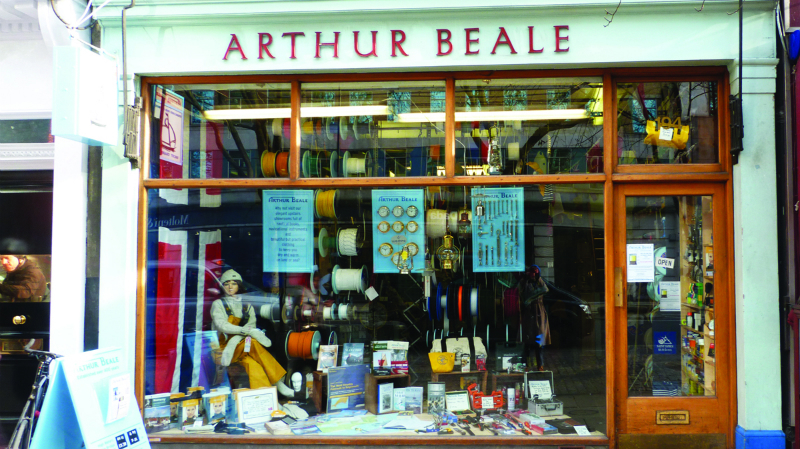 The shop was saved from closure by new owners in 2014 who were clearly taken with its old-world charm – head here to shop from a treasure trove of maritime paraphernalia if that’s your thing, or a strong selection of genuinely handsome unisex outdoor wear, like rubberised macs, fisherman knits from Norway, and beanie hats by French brand Saint James (that we’ve seen stocked in other, far more expensive establishments). 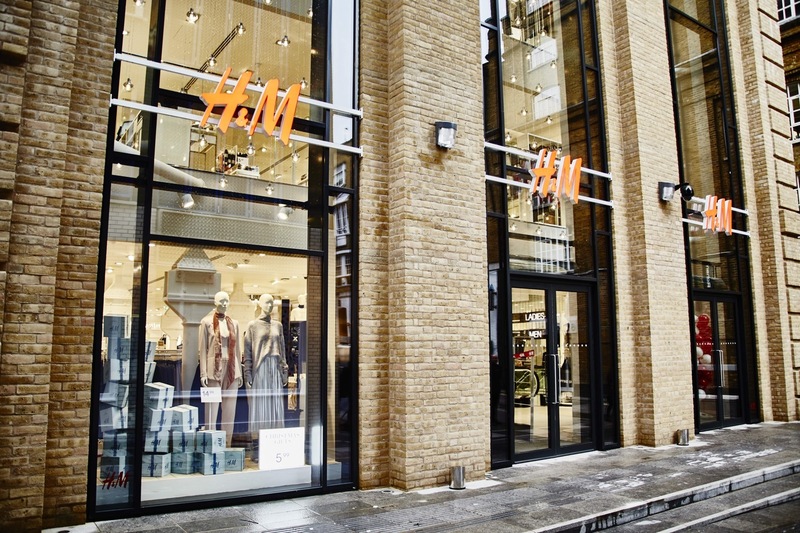 This is H&M, but as you’ve never seen it before. 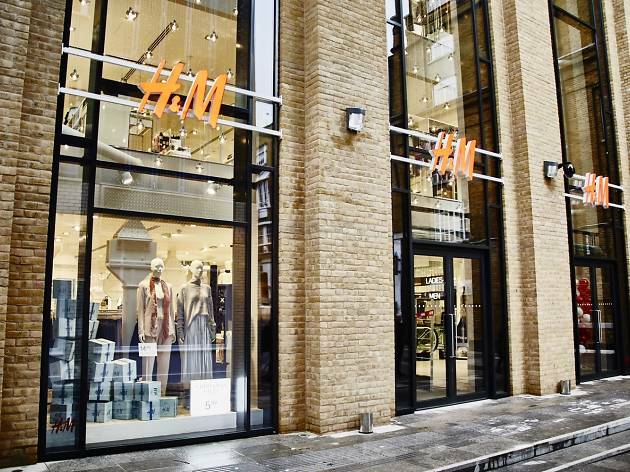 Located in the brand new Mercers Walk development just off Long Acre, the space is truly impressive – an imposing four-floor fashion factory (it actually looks like one from the outside) stocking a vast range of the Scandi brand’s brilliant basics and trend-led clobber. The main draw here is the fantastic ground floor beauty shop, reachable by its own separate entrance (fancy!) and flogging a haul of covetable makeup bag essentials that we daresay could rival that of sister brand & Other Stories. 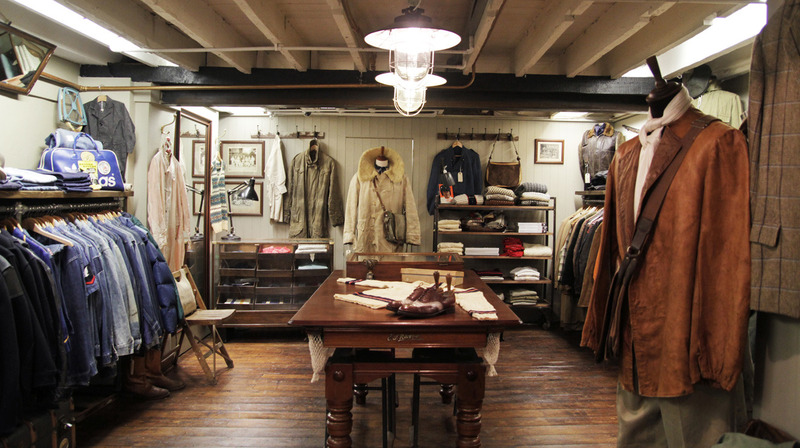 This is the only Nigel Cabourn Army Gym outside of Japan, selling the hallowed designer’s vintage-inspired collections, dreamed to life by consulting his vast personal archive of over 4,000 pieces. As the name might suggest, you’re guaranteed to be able to get hold of some camo here, but there’s also a solid amount of smart tailoring and shirting, all drawing on the best of British design. 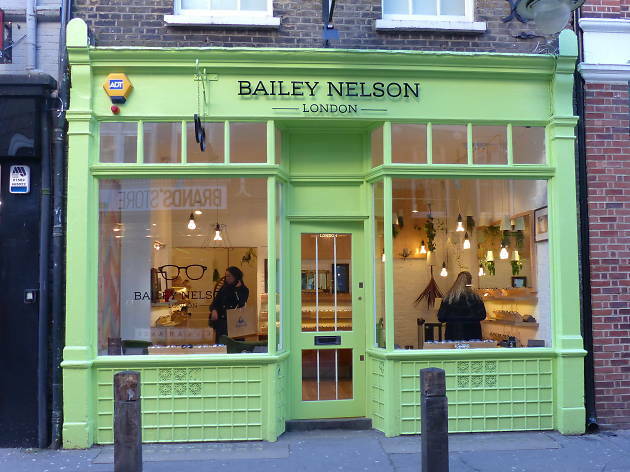 Aussie brand Bailey Nelson is a refreshing proposition – beautifully crafted, stylish eyewear, but without the hefty price tags, thanks to a business model that streamlines the supply chain process. 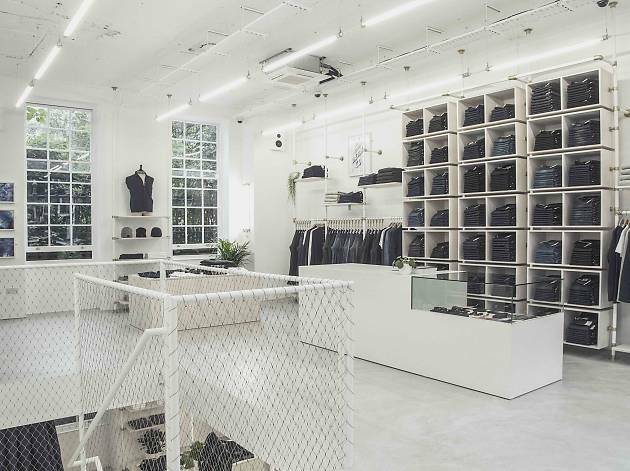 Its Covent Garden store is a simply designed, attractive spot, with whitewashed brick walls and artfully placed hanging plants. 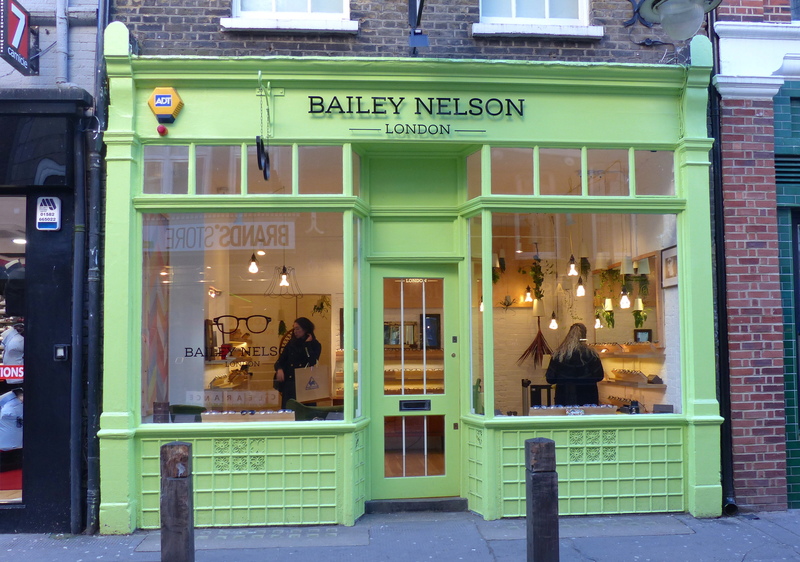 Pick from the selection of frames in store or let the staff take you through creating your own pair, which will be yours from a bargainous £98, and feature luxurious elements like hand-polished Italian acetate and anti-glare lenses as standard. A more handsome men’s vintage emporium you’d be hard-pressed to find. Formerly an ironmongers (the signage is still preserved above the shop), The Vintage Showroom is a shoppable museum of impeccably displayed togs from the early twentieth century onwards. It’s particularly good for vintage sportswear, workwear and accessories, which are all displayed among grand wooden cases and framed black and white photographs. Founders Douglas Gunn and Roy Luckett really know their stuff – their sister location in Notting Hill regularly rents its vast clothing archive out to designers seeking inspiration. 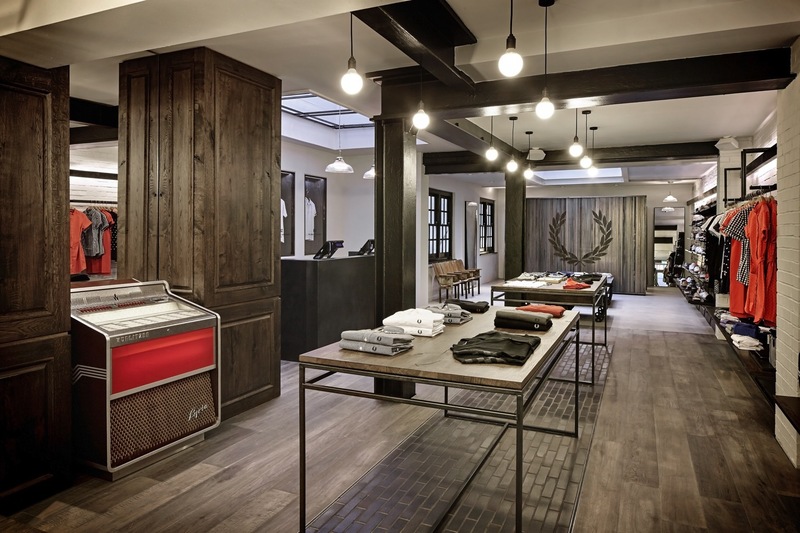 Classic British label Fred Perry has an impressive home in this small but good-looking Seven Dials location, which used to be a pub and still boasts its original bottle green tiles. Here you’ll find an edited selection of classic mens and womens sports-influenced clobber emblazoned with the famous laurel wreath logo, plus collaborations with brands like Muviel and Bella Freud. The shop is a great showcase for the brand’s Reissues series, which sees winning pieces from the archive resurrected each season, including variants on the trademark M3 shirts from 1952. Fopp started life in Glasgow in the ’80s as a one-man market stall, and went on to become a booming music retailer with some 50 stores around the country. Sadly, after the company fell on hard times, its Covent Garden shop was set to close until it was pulled back from the brink after being bought by HMV. We’re glad it stuck around, as despite its new ownership, Fopp maintains its intelligent, indie vibe, reflected in its thoughtful selection of CDs, books and DVDs, including a great world cinema selection. Even better, the company is committed to keeping prices low, meaning it’s easy to be tempted to take a punt on some bright new musical thing. Fopp also hosts in-store album signings and gigs.